Every parent wants to know that their child is smart. Whether your child is a bubbly first grader or a moody teenager, you want what’s best for your child. When your youngster brings home a report card, it’s natural to hope that your little one’s grades are good. Unfortunately, for many families, this isn’t the reality. Whether your child has one bad grade or an entire report card of bad grades, it’s important that you demonstrate to your child that you still care. 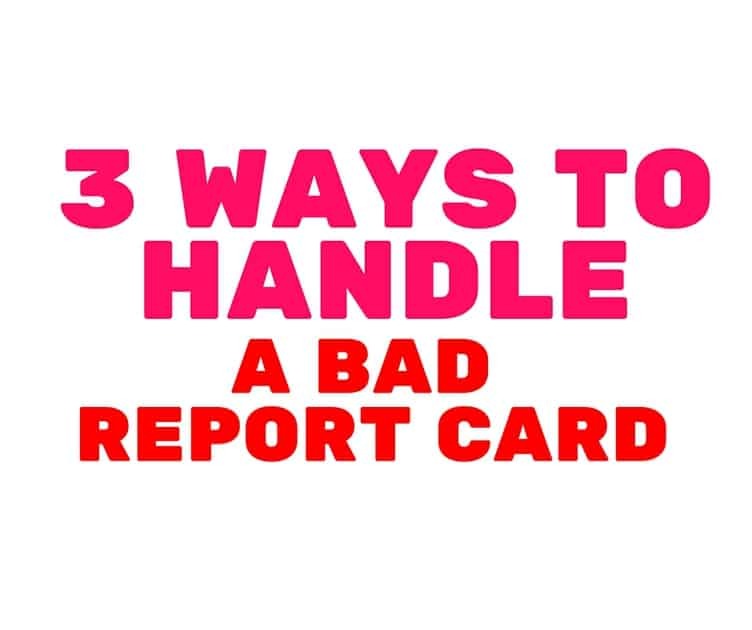 For some parents, an easy response to a bad report card is, “I can’t believe your grades are so bad” or “What were you thinking?” Remember that for children, a report card can be incredibly intimidating and scary. Instead of focusing on one bad grade or even a report card full of grades, try to point out the positive aspects of your child’s report card. For example, you could say, “This gives you something to strive for,” or “I noticed you got a ‘B’ in Math! That’s great!” Try to find at least one good thing to say to your child. Even if the entire report card is completely rotten, something like, “I know you’re trying your best,” can go a long way in making your child feel loved. Sometimes kids just need a little extra help. Whether your child struggles with math, history, or science, it’s important that you recognize when a traditional education isn’t working. While some parents might choose to home educate their children, others find that tutoring can be quite helpful. If your child’s report cards keep getting worse and worse, a private tutor or even group sessions might prove to be helpful. For parents who cannot afford private tutoring, there are many state-sponsored tutoring services available. Another option would simply be to try to help your child with homework and projects yourself. Was there a time when you failed? Have you ever struggled to get good grades? Did you ever feel like your parents were disappointed in you? Why not talk with your child about it? Let your little one know that you know what it’s like to feel alone. Let your youngster know that you’ve felt scared, sad, and disappointed before. Everyone makes mistakes. No one is perfect, no matter how hard they try to be. Let your child know that you’re still proud of them, even if the report card wasn’t perfect.